Small Farmers Aren't Cashing In With Wal-Mart : The Salt The world's largest retailer says its investing in one of the fastest growing segments of American agriculture: local food. But small farmers say they aren't necessarily seeing the benefits. Wal-Mart claims that 11 percent of the produce in its stores now comes from local farms. When Wal-Mart calls, Herman Farris always finds whatever the retailer wants, even if it's yucca root in the dead of winter. Farris is a produce broker in Columbia, Mo., who has been buying for Wal-Mart from auctions and farms since the company began carrying fruits and vegetables in the early 1990s. During the summer and fall, nearly everything Farris delivers is grown in Missouri. That's Wal-Mart's definition of "local" — produce grown and sold in the same state. In winter, it's a bit tougher to source locally. In 2010, Wal-Mart pledged to double its local produce sales from 4 to 9 percent by 2015, as part of a new sustainability program and a commitment to support small businesses. While the chain has exceeded that goal – it says 11 percent of its produce sold nationwide comes from local farms — there's little evidence of small farmers benefiting, at least in the Midwest. Organic vegetable grower Jim Thomas, who grows organic vegetables and sells them at the Columbia farmers market, doesn't know anyone who has sold successfully to Wal-Mart. "They tend to try to force people into lower prices than feasible," he says. "My only concern is that they're willing to pay the price to get the quality that they get from local produce." Wal-Mart says they try to be as price competitive as possible, and that their local buyers draw up contracts with farmers a year out, laying out fixed prices for set amounts of crops. Ron McCormick, senior director of sustainable agriculture for Wal-Mart's U.S. division, says that the number of small farms supplying the company has grown since 2010. But there are challenges – like keeping track of growers, uncertainty about small farms delivering during bad-weather years, and the high costs of strict food safety audits, which are required to supply Wal-Mart. "There are ways to help the farmer with those costs but it's a matter of doing that 100 times over if you're working with small farmers," McCormick said. 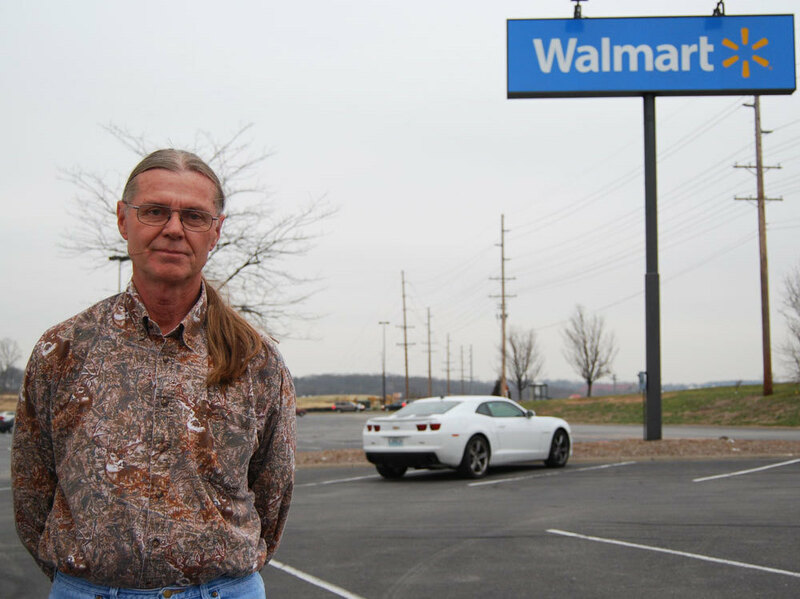 Produce broker Herman Farris, outside a Wal-Mart in Columbia, Mo., was heading to St. Louis to pick up a shipment of bananas for Wal-Mart. Wal-Mart claims its emphasis on local has saved customers over $1 billion while helping farmers. But Wyatt Fraas, of the Center for Rural Affairs in Lyon, Neb., would like to see those benefits and cost savings broken down. "Unfortunately, there's so little definition and transparency about how that happens that we don't really know if that happens or how that happens," he said. Of the eight farms highlighted on Wal-Mart's locally grown web site, five are very large farms by the U.S. Department of Agriculture's definition, with annual sales in the millions of dollars. And then there's the question of volume. The University of Missouri Extension's Jennifer Schutter, who helps farmers sell produce to retailers, says many small farmers in Missouri simply can't grow enough. "They only have produce for four months out of the year," she says. 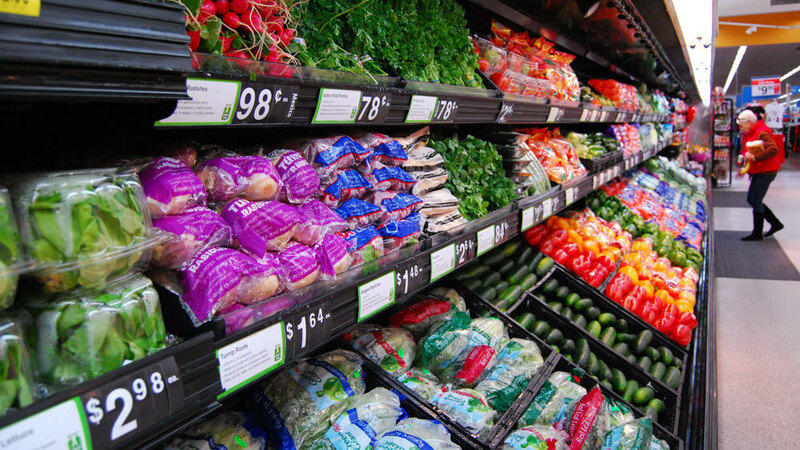 "Wal-Mart wants produce consistently from the same distributor pretty much all year long." A few small operations in the Midwest have had success working with Wal-Mart, including Divine Gardens, a tomato grower in western Kansas, and Missouri Vegetable Farm, a 200-acre farm 70 miles south of St. Louis. Missouri Vegetable Farm was created in 2010 specifically to supply Wal-Mart by the Proffer family, which also owns Proffer Wholesale Produce. Proffer Produce has been a middleman for Wal-Mart since the 1990s, and delivers produce to distribution centers in 13 states. Overall, the company has sales of nearly $60 million a year. In its shipping facility, as workers in hairnets separated green peppers by quality, size and weight, food safety director Jason Landers said farms, regardless of their size, must adapt their business models to compete in the growing local foods market. "If they want to continue to succeed, they have to modify their operations," he said. But LaDonna Redmond, a senior policy associate with the Institute of Agriculture and Trade Policy in Minneapolis, says it's a slippery slope. "That's the question: Will it actually benefit [farmers], or will the situation turn out to be one where the benefit really is transferred to Wal-Mart?" Redmond says. She adds that until Wal-Mart builds the cost of producing local food into its prices, few small farms will truly benefit from the retailer's push to source more local food. Abbie Fentress Swanson reports from Missouri for Harvest Public Media, an agriculture-reporting project involving nine NPR member stations in the Midwest. For more stories about farm and food, check out Harvest Public Media.